Never be confused about online music marketing again. 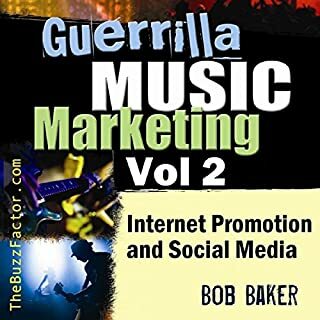 Updated for 2018, this audiobook features the second volume in the highly acclaimed Guerrilla Music Marketing Handbook. In the last decade, no industry has been through as much upheaval and turmoil as the music industry. If you're looking for quick fame and instant success, you're in the wrong field. It's now a democratic DIY business, and any guide to success in these new waters must be told by someone who's already survived them. Fantastic! could not stop listening. You're in a career where it's considered "normal" to be broke. If you were doing anything else for a living, you'd have given up by now. And I'm sure there are people in your life who wish you'd do just that... They want you to settle down, get a "real" job, and make music a hobby. Screw 'em. The truth is, if you know what to do, you can make a lot of money as a musician. This book shows you what to do. By: Audrey K. Chisholm Esq. Start Your Music Business is a simple guide for songwriters, producers, music publishers, independent record labels, artists, bands, musicians, and individuals in the music industry who want to legally start and grow a successful music business. 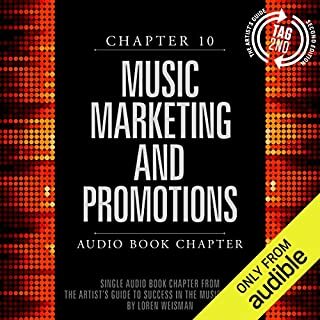 Chapter 10 covers the fundamentals of marketing in today's music industry and the outlines for putting together the best marketing plan that will give you the best results. 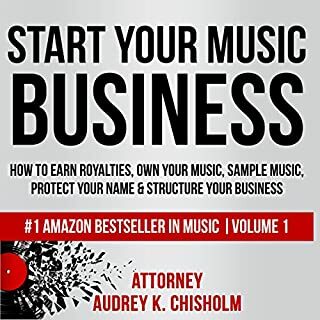 Run Your Music Business is the second book in the Music Law Series written by experienced entertainment lawyer Audrey K. Chisholm, whose clients have been featured on MTV, American Idol, and VH1. Run Your Music Business picks up where her first book, Start Your Music Business, left off. 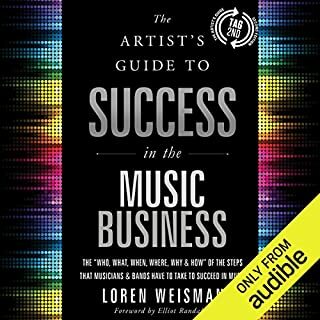 By far the best audio book on the Music Business! Learn how to stay relevant in the new age of digital music and entertainment world. This book will teach you how to successfully start marketing your brand online and covers all aspects of being successful in online branding. Full of practical advice, this music industry book provides comprehensive details on how to achieve self-empowerment and optimize your success in today’s music business. 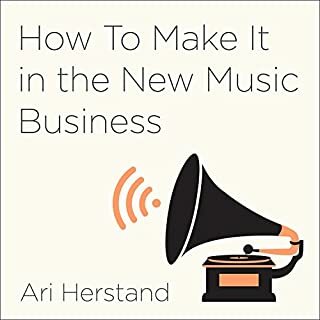 From production and performance tips to marketing and career-building advice, this music business book instructs and empowers artists on how to take the hard-earned lessons of a fellow musician and put them to work in their own careers. Discover the songwriting technique used in 97% of all hit songs. Music is a tough industry to break into. With production gear being affordable for the first time in history, it seems like everyone is making music these days. Getting noticed in the continuous stream of information that is the Internet seems almost impossible. But: There is a technique designed specifically to captivate and hook an audience and with The Addiction Formula, you can learn it in a couple of hours. I’m a successful producer for Sony, and this STILL upped my game. You're about to discover how to use social media to gain a huge online following. You'll learn how to efficiently manage your Twitter account and create engaging content to share with your fans. You'll also learn how to do some automation so you can save time when putting your content out there. Making Money with Music gives you over 100 revenue streams and the knowledge on how to tap them. 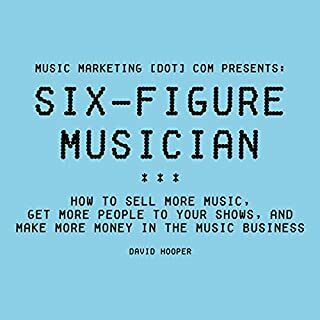 Whether you're a solo artist, band, DJ, EDM producer, or other musician, this book gives you strategies to generate revenue, grow your fan base, and thrive in today's technology-driven music environment. Plus, it lists hundreds of services, tools, and critical resources you need to run your business and maximize income. Do you know what top producers such as, Calvin Harris, Deadmau5, Afrojack, and Swedish House Mafia do in the studio? You will discover what the music producer does and how to bring your music to life. Become a smart recording artist and discover the hidden rules of recording and composition that you can apply to use in any studio. Famous producers share the equipment they use and share how to record musical instruments, essential hardware, the mix-down, 10 Golden Rules of music production, plus much more. Are you ready to share your music with the world? The Music Career You Don’t Have…Yet. : 10 Cutting Edge Secrets Plus a Powerfully Proven System I Use to Earn $15,000+ Each Month. No matter where you are in your career - from unemployed beginner to seasoned professional - this guide will help you find the best jobs in the music or entertainment industry right now. Quit your job, become educated, and make money in the music business today. You are about to discover proven steps and strategies from music producers on how to produce music, even if you have zero experience in recording and audio engineering. You will be able to learn everything you need to know in order to make your first single sound just the way you want it. In this audiobook, you will to learn how to build your own studio and have the right gear and software in order to start creating music. Songwriting: How to Write Lyrics for Beginners in 24 Hours or Less! Have you always wanted to put your thoughts and feelings into the form of musical lyrics but couldn't quite make the transition? If so, then How to Write Lyrics for Beginners in 24 Hours or Less: A Detailed Guide is the book you have been waiting for. Inside you will find everything you need to walk you through the lyrics-writing process to ensure you go from novice to maestro in no time flat. The Artist’s Guide to Success in the Music Business, 2nd Edition, is a detailed analysis of the subjects that all musicians should understand and apply to pursue a successful and sustainable career in music today. Full of practical advice, this music industry book provides comprehensive details on how to achieve self-empowerment and optimize your success in today’s music business. Good Material But only one chapter. Three Simple Steps to Effective Music Marketing: Everyone thinks marketing and sales are confusing and complicated - they really aren't. This chapter makes it easy to wrap your brain around them. Listen to this and you'll never be confused again. The Power of Goal Setting: A Foolproof Plan for Reaching Your Music Aspirations Faster: Tired of wandering aimlessly through your music career? Stop going with the flow and start taking control with this simple goal setting checklist. You have power when you know where you're going! The First Five Steps to Marketing (and Profiting from) Your Music: This is the foundation upon which all your music marketing activities should be built. If you don't understand these five basic truths, you will continue to struggle. Get the lowdown here. The Number-One Question You Must Answer When Promoting Your Music: Get this one wrong and marketing yourself will be a slow, uphill battle. Get it right and you'll cut through the clutter and make an impact faster. 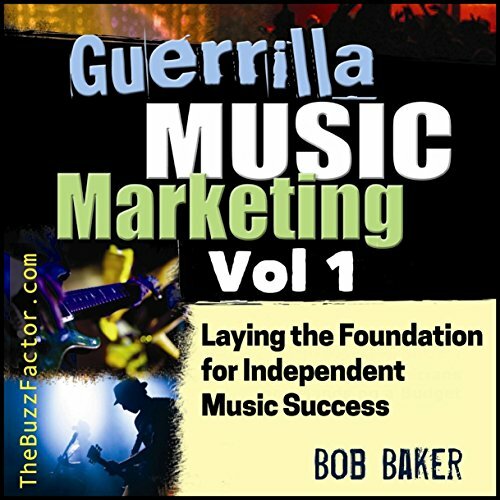 Purchase this audiobook now and take your music marketing to the next level! Read this musicians! This is the most potent music material I've ever heard. Highly recommend. Seriously he even says Later in the book that this is Part 1 of 5 parts of this book. And that if we wanted the rest of the book, then we have to buy it. I wanted an audiobook bob, No thanks. Like his other books, Bob gives many practical and usable steps to take. every time I listen I learn something new from his books. completely clear and useful ideas and strategies that makes complete sense. I didn't even realize I was going about it all wrong!